Introducing Jill! 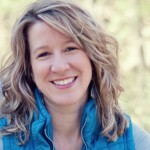 In addition to being a graduate of a LifeShine coaching program, Jill enthusiastically serves as our Happiness Manager. In this role, she welcomes new clients and serves as a resource and source of support for existing clients. Jill also uses her coordination skills to help plan fun LifeShine events throughout the year. Her assistance allows me to focus on what I love – being a Coach! Jill thoroughly understands the LifeShine business model as well as all aspects of coaching and what it’s like to be a client. I hand-picked Jill for this role to represent LifeShine and proposed the idea to her by saying: “I want one person for this job and that is YOU. You in?” She enthusiastically jumped on board, saying she’d love to and that it would be an honor. It was a win-win! What a delight to work with Jill, who’s not only a loyal client, but also a cherished friend who fully lives life and enjoys every bit of the ride. Thank you, Jill, for the bright light you shine on all of us at LifeShine!